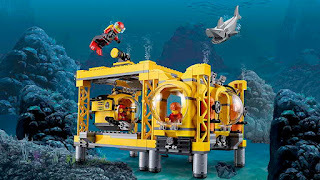 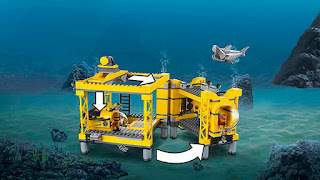 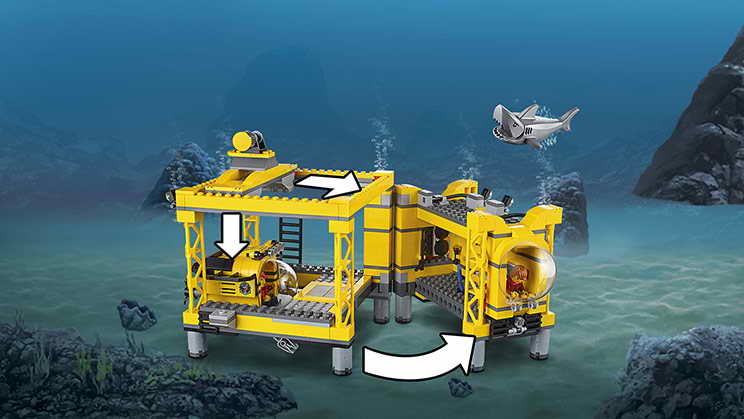 come with an operation base, a seaplane, a flatbed submarine with spare oxygen tank, a research submarine with openable bubble cockpit, a cove with gate, a seaweed and a shark. 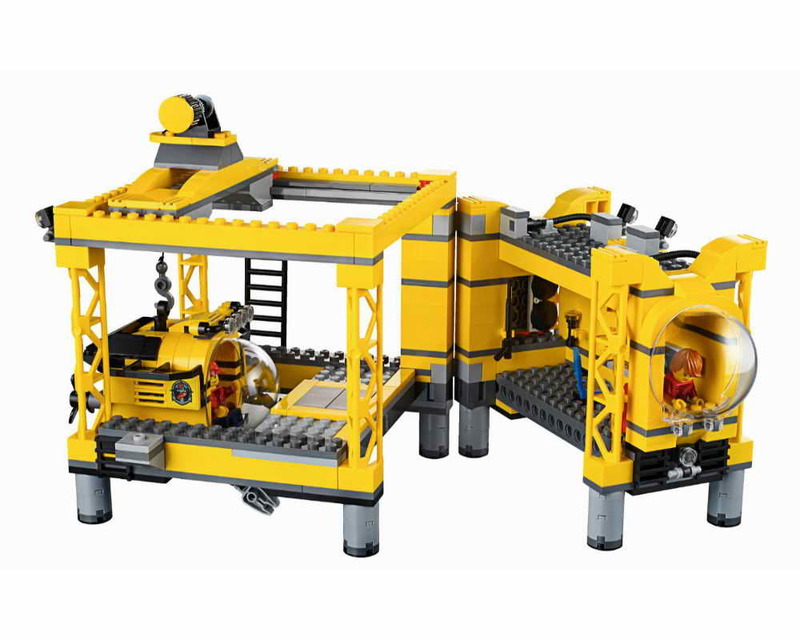 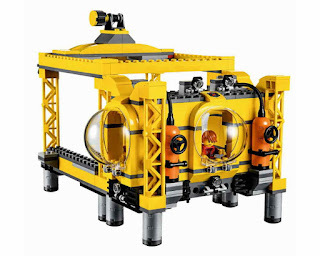 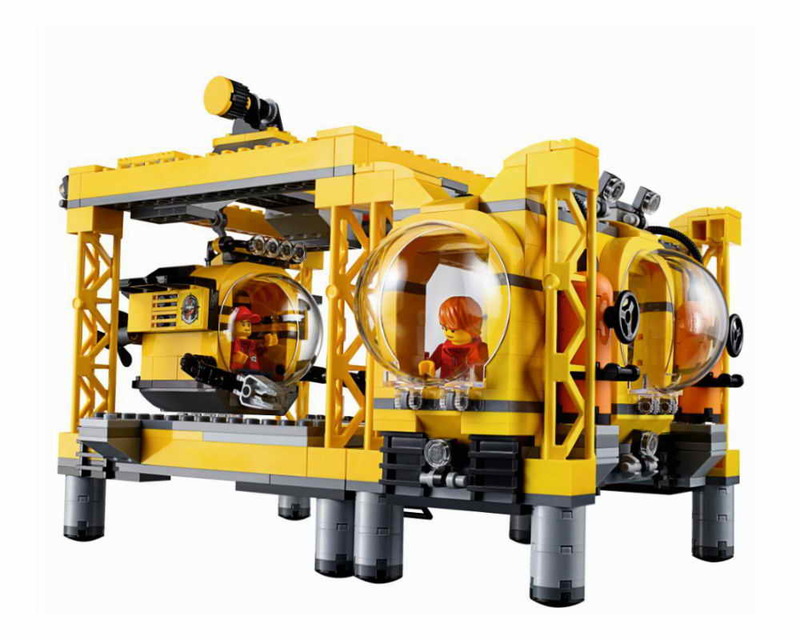 the base has a sliding crane system with working winch, 2 large domed windows, a sealed hatch, 2 detachable oxygen tanks and an openable interior with seat, a control center, a harpoon, a crowbar and a torch. 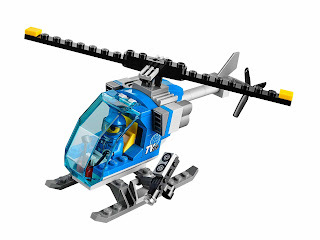 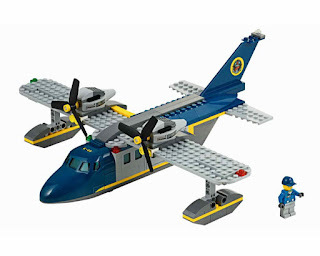 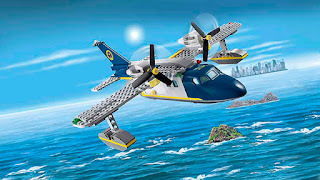 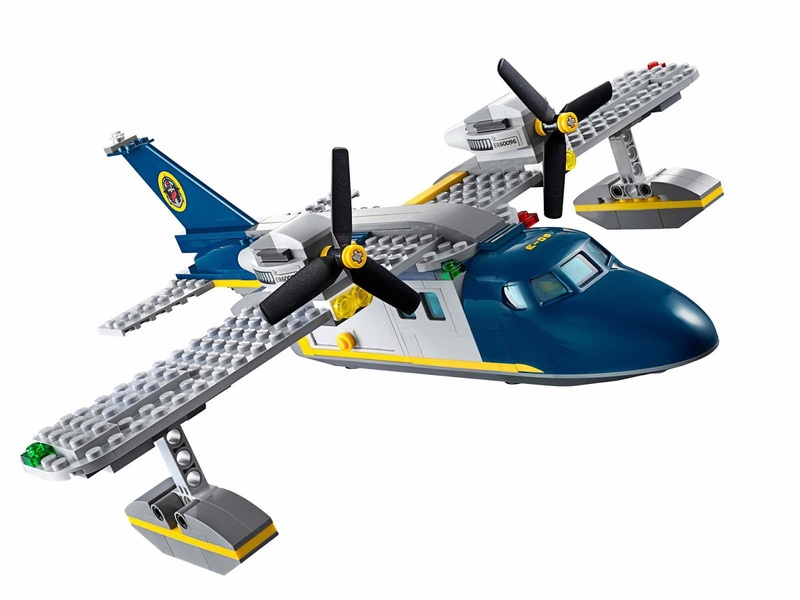 the seaplane has spinnable propellers and cargo bay with openable doors. 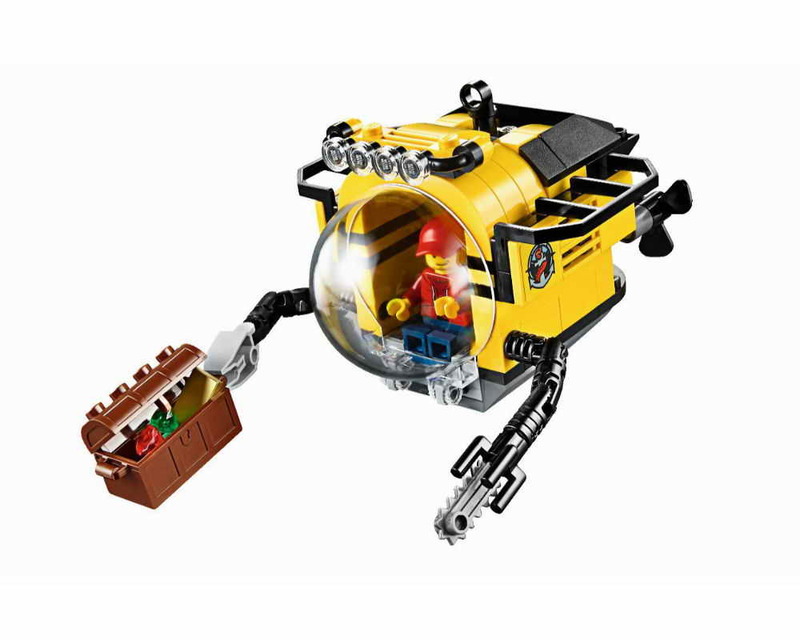 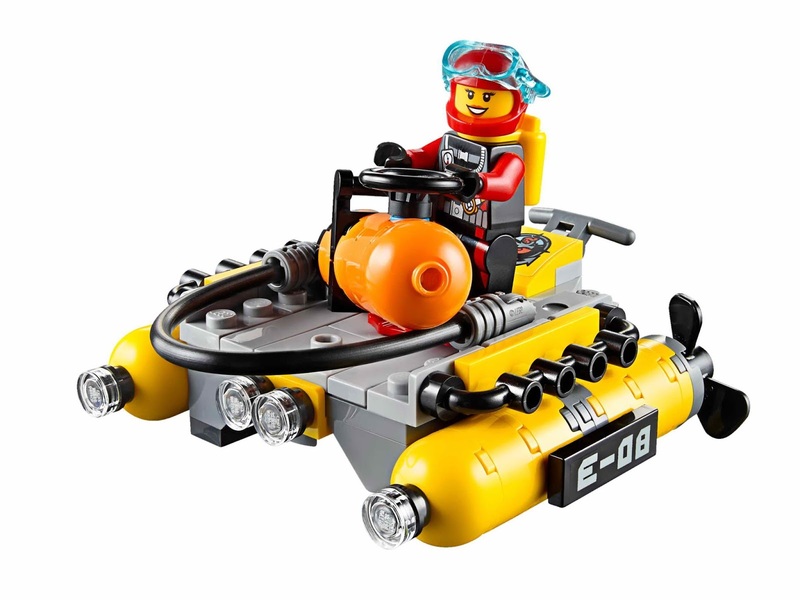 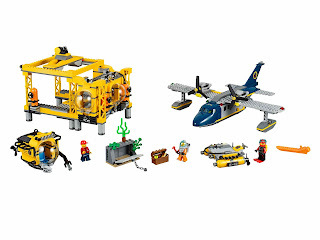 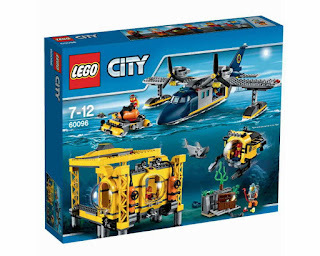 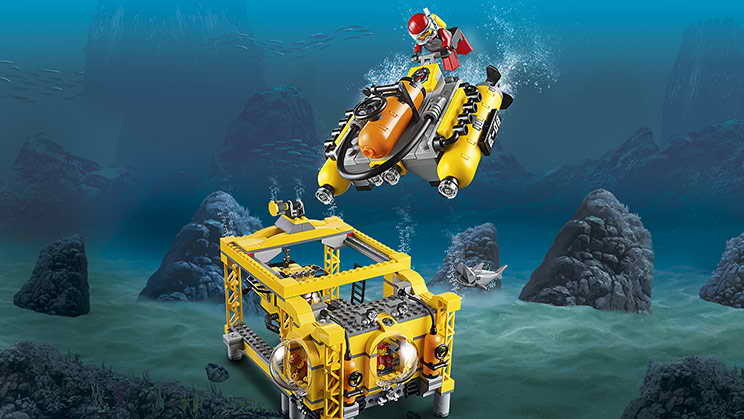 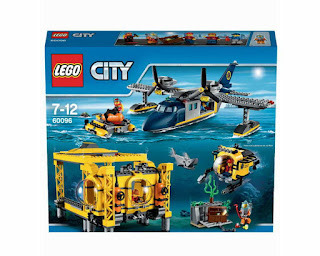 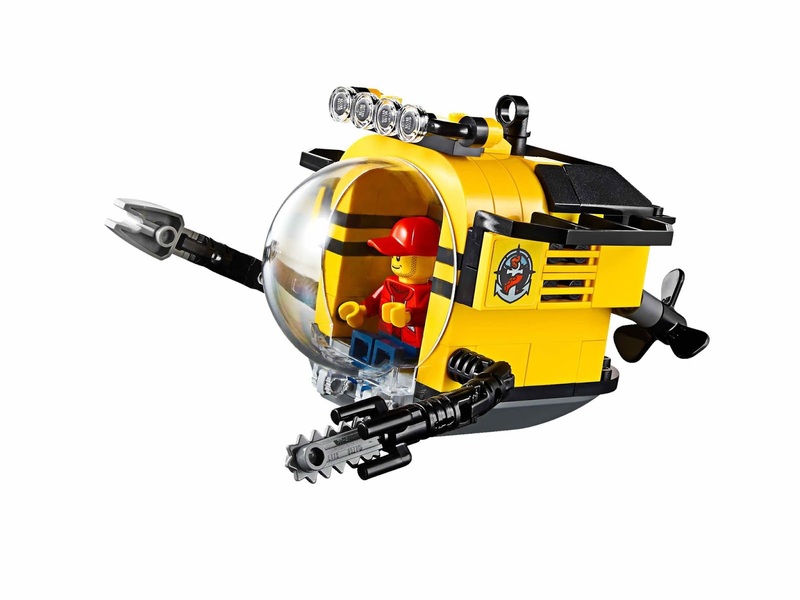 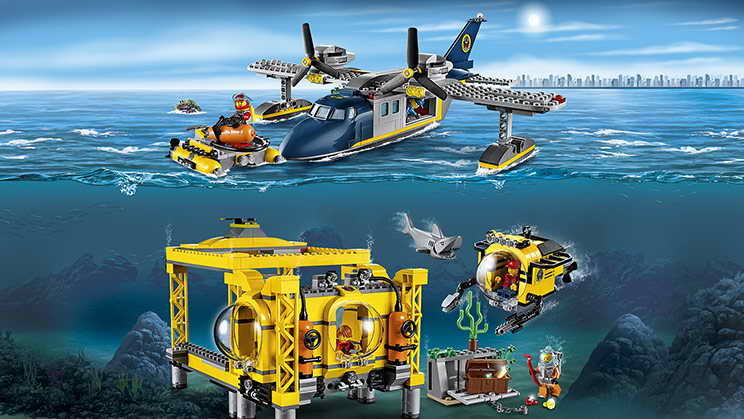 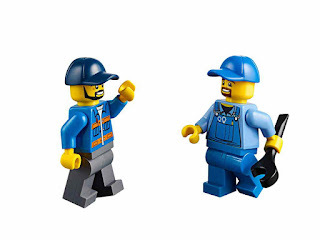 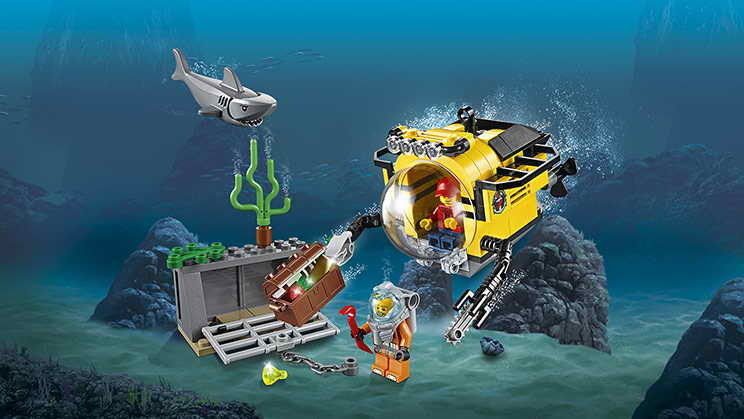 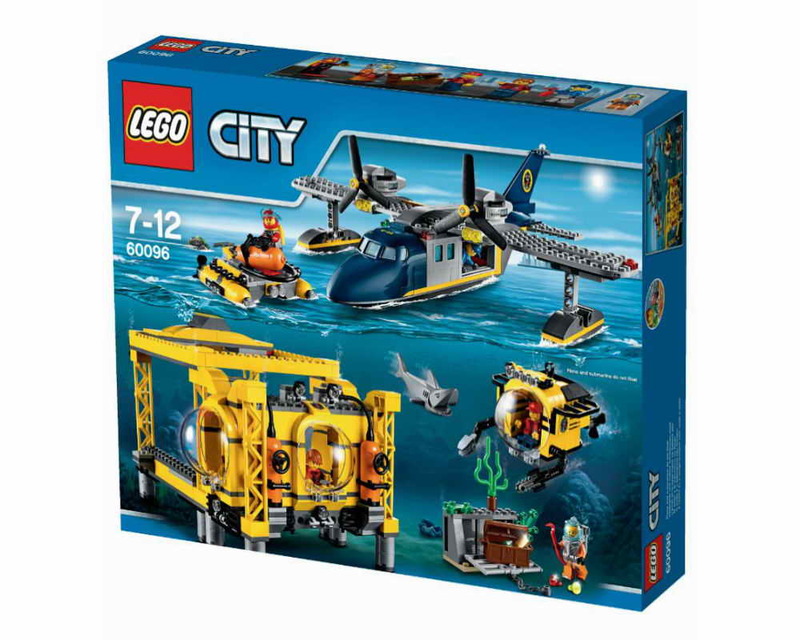 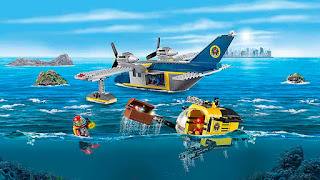 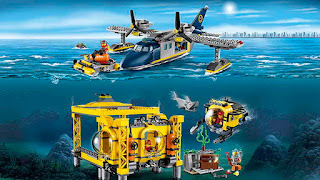 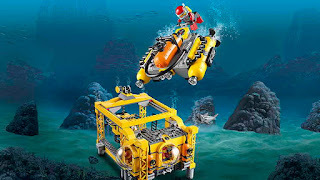 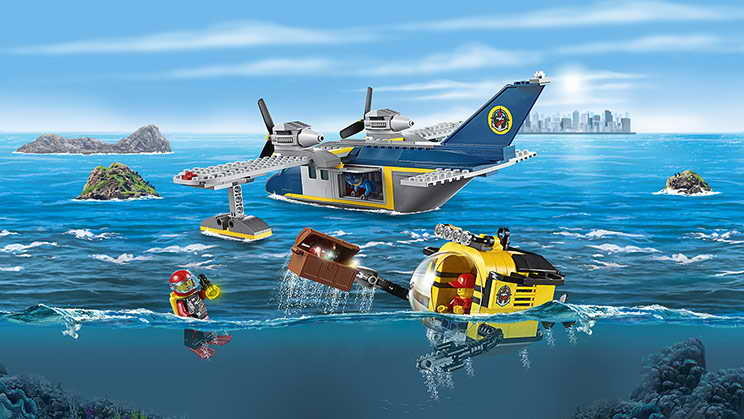 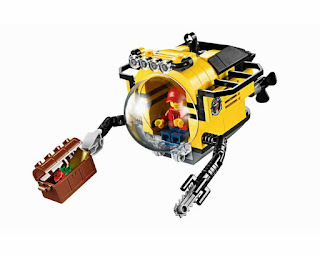 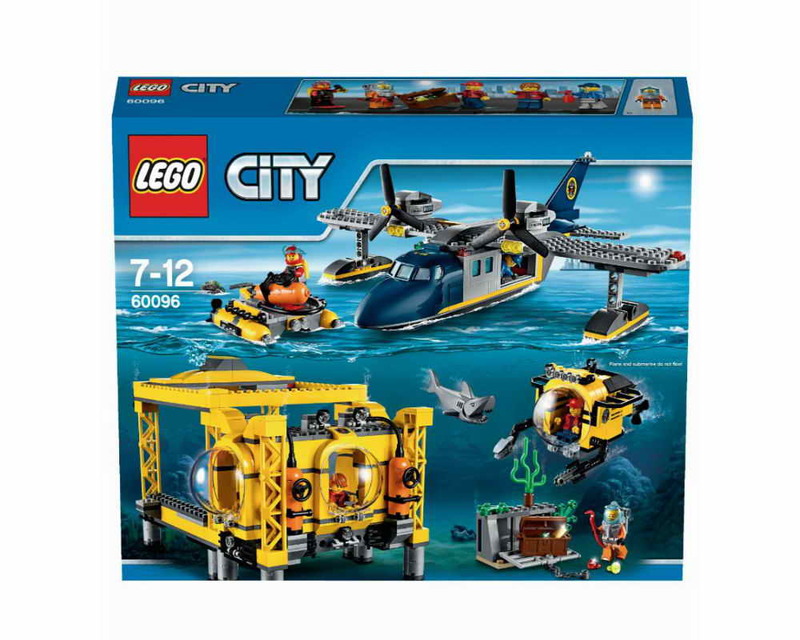 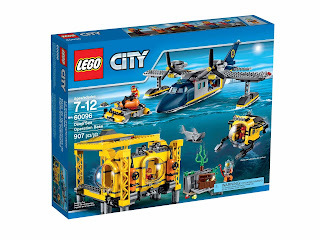 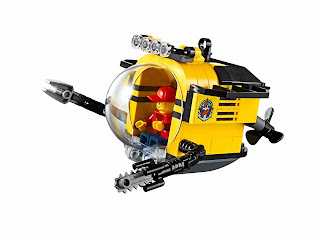 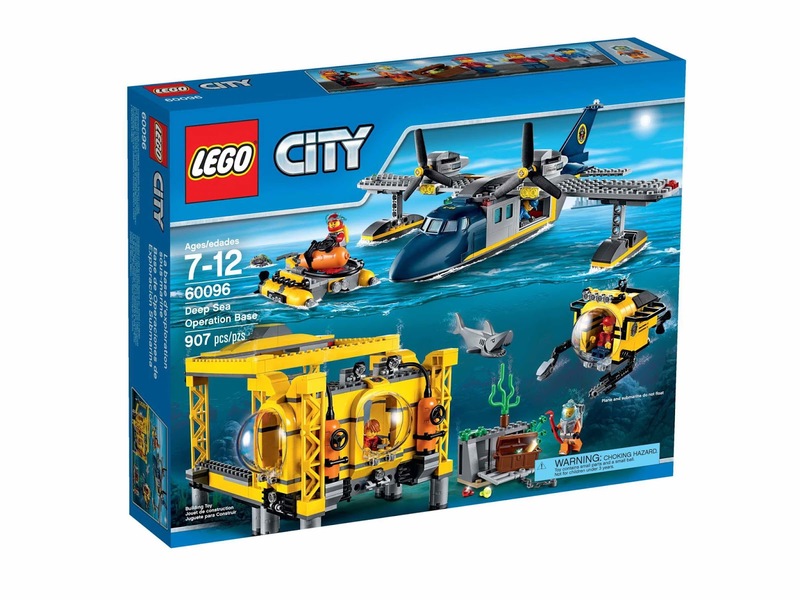 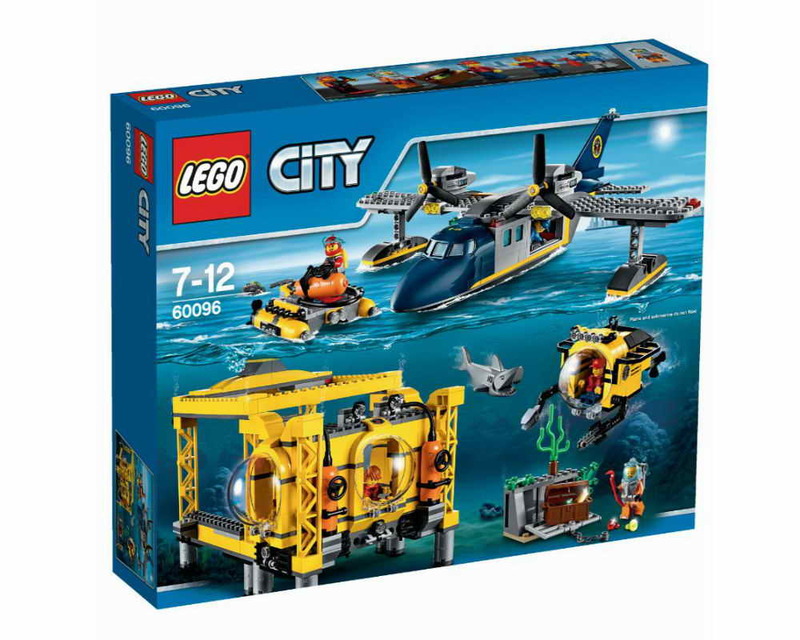 minifigs included a pilot minifig, a deep sea diver minifig, a scuba diver minifig and 2 deep sea explorer minifigs. 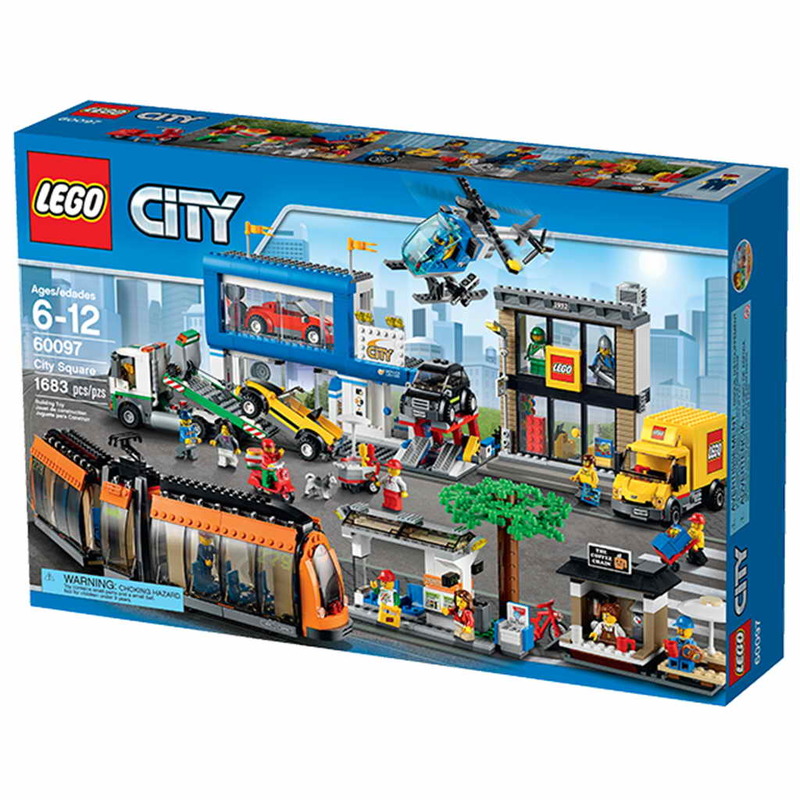 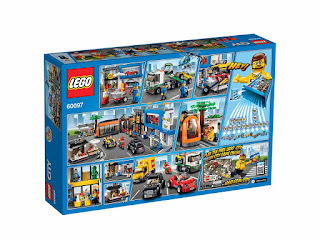 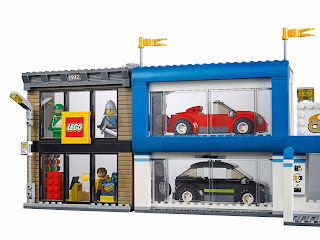 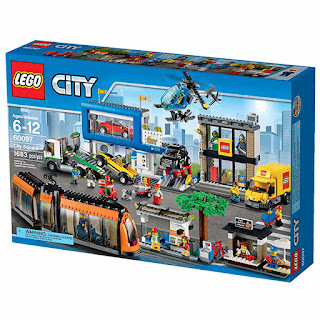 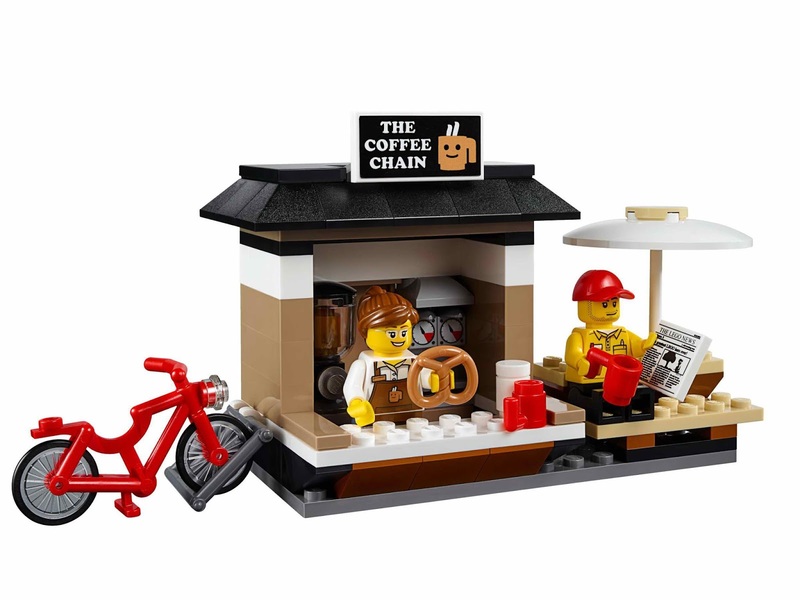 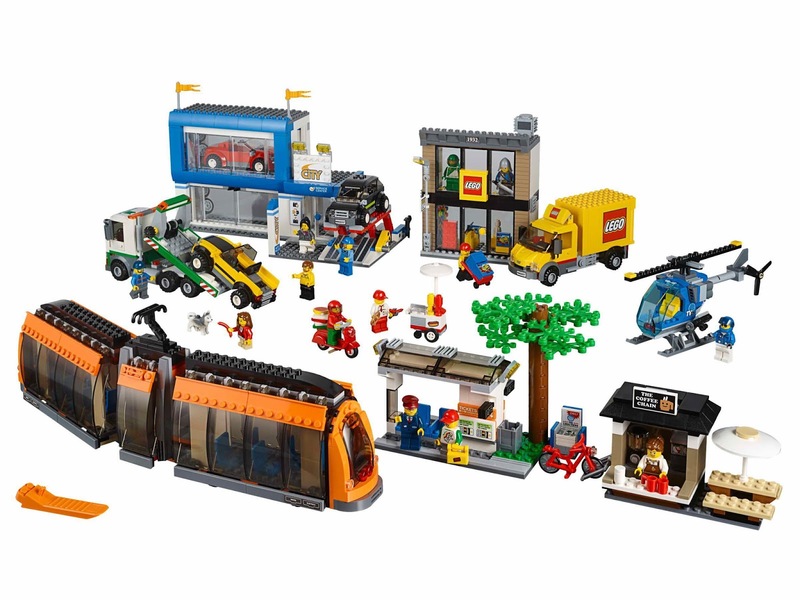 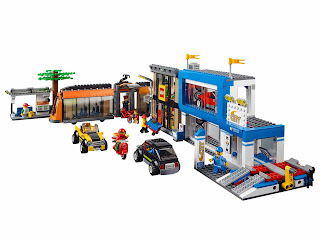 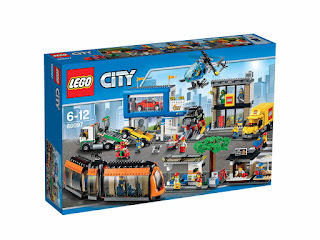 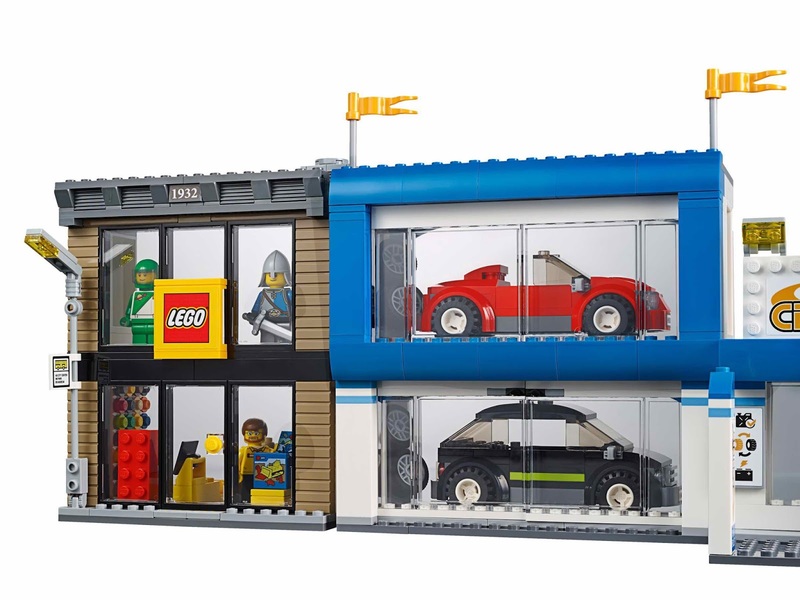 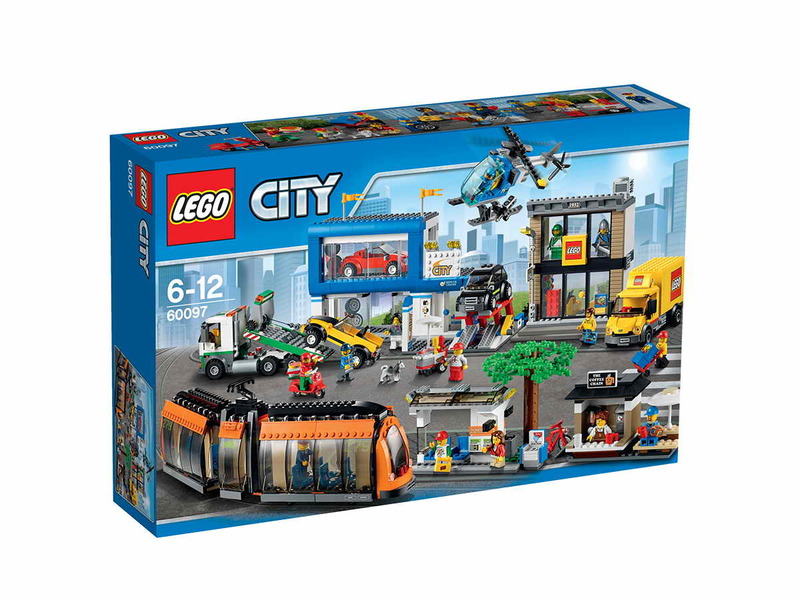 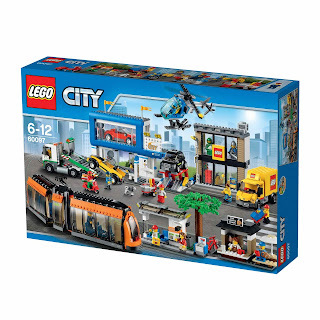 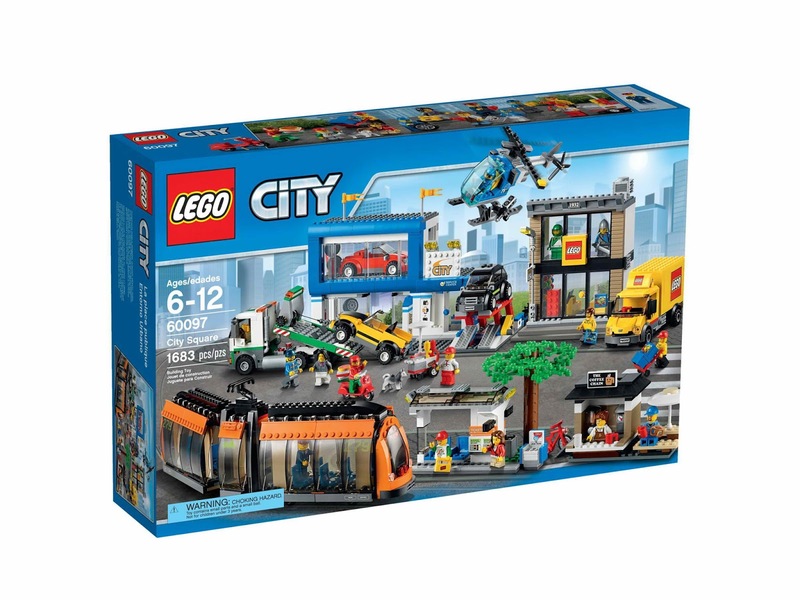 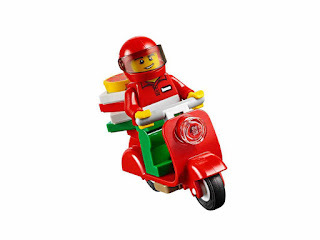 come with a tram, a LEGO store, a LEGO delivery truck, a helicopter, a car dealership, 3 cars, a tow truck, a bike, a pizza delivery scooter, a tram stop, a coffee shop, a hotdog stand and a newsstand. the car dealership has 2 showrooms with transparent sliding doors, 4 alloy wheels and a service center with functioning car lift. 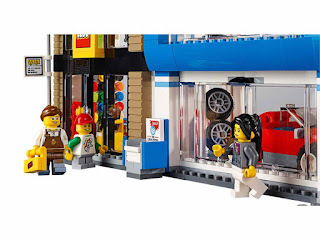 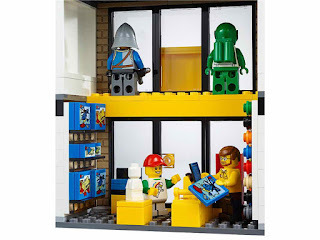 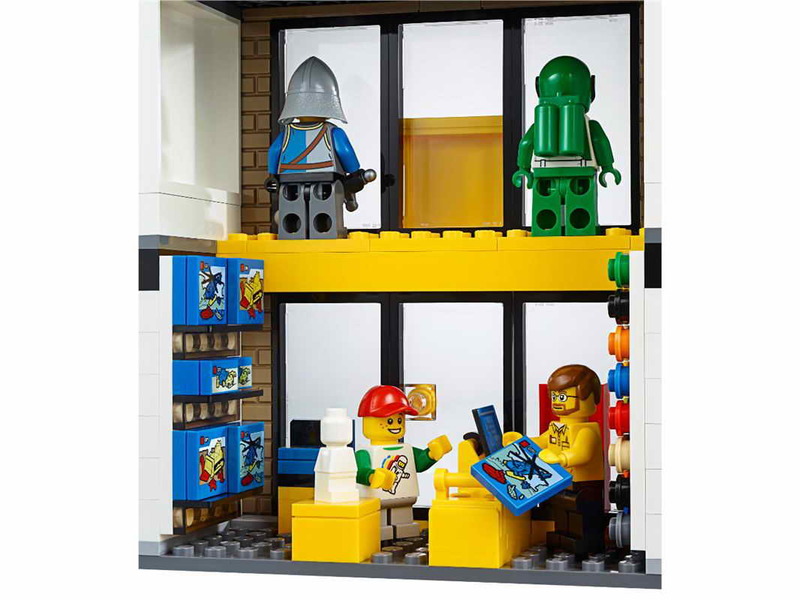 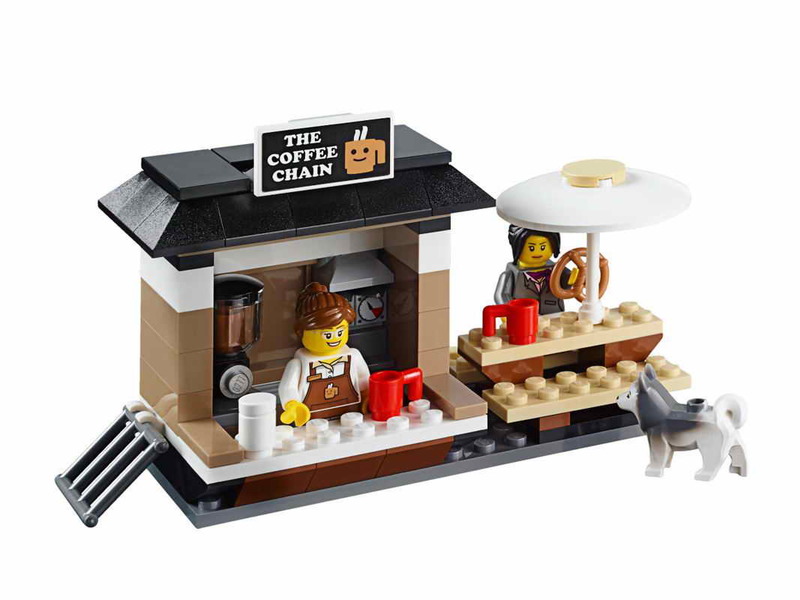 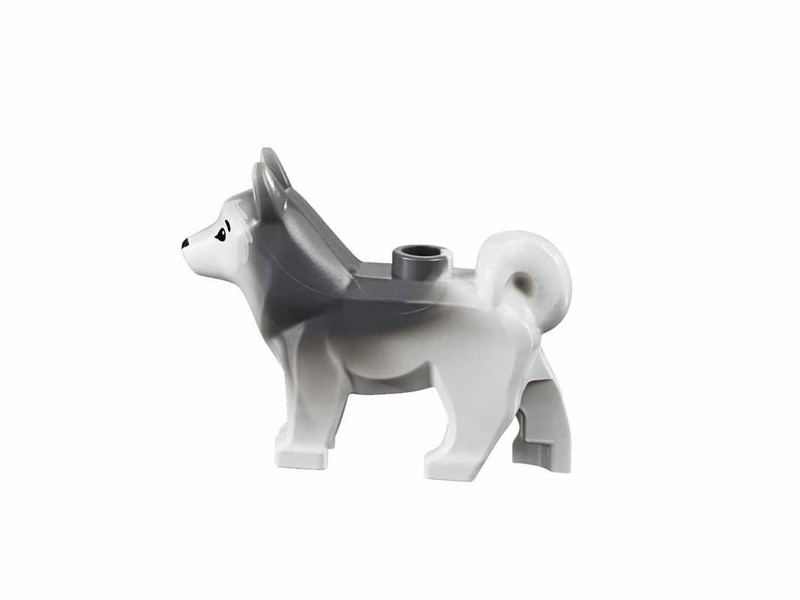 the LEGO store has 2 statues, a streetlamp and an interior with computer station, boxes and shelves. 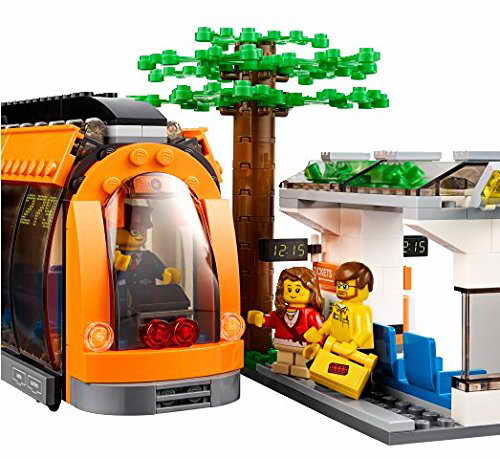 the tram has cars with transparent walls, a bike car and a drivers cab with openable doors. 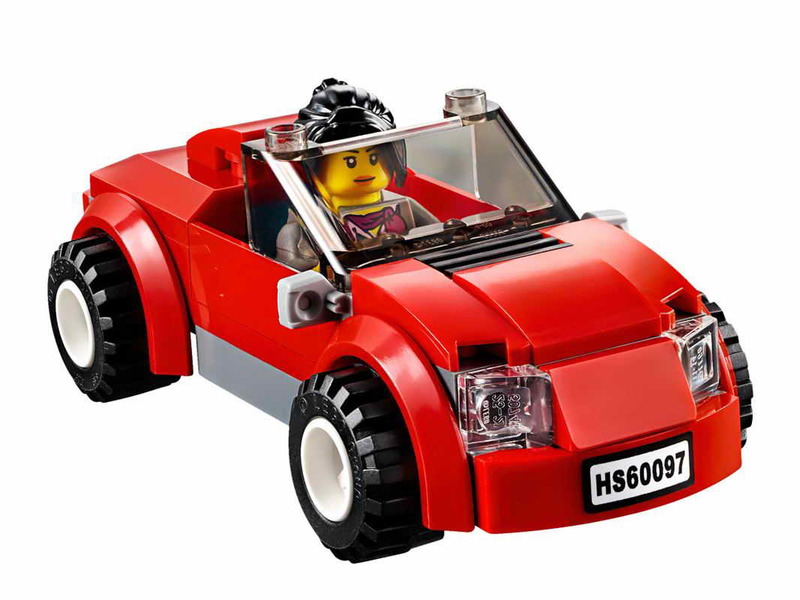 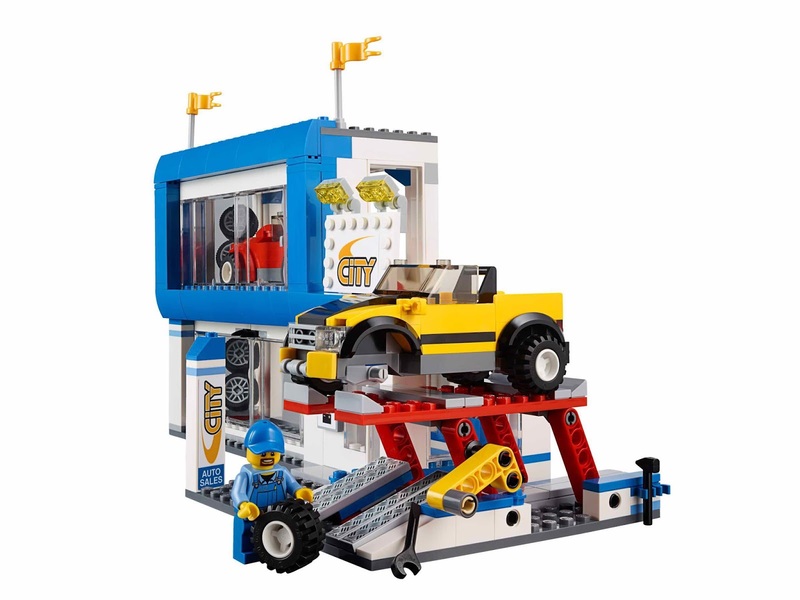 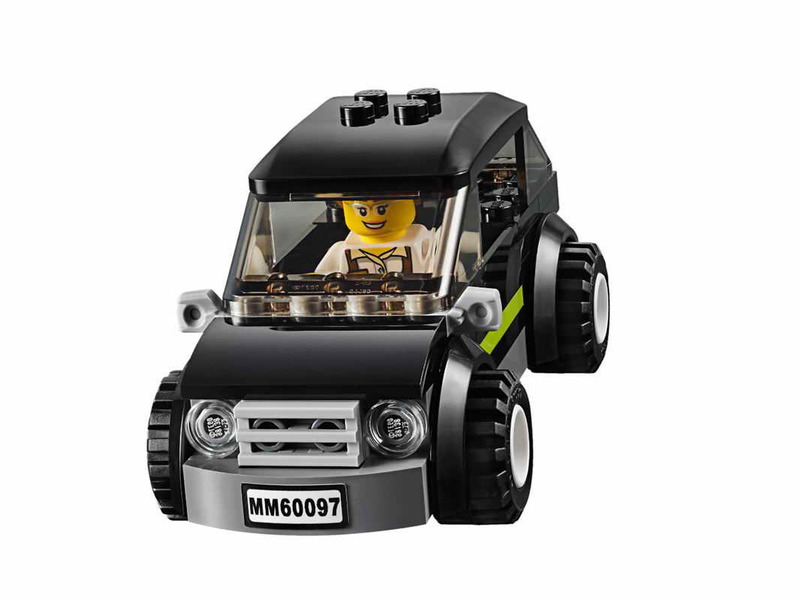 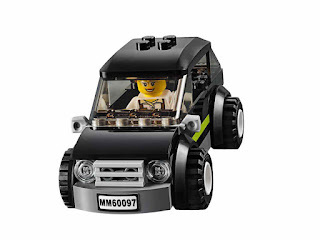 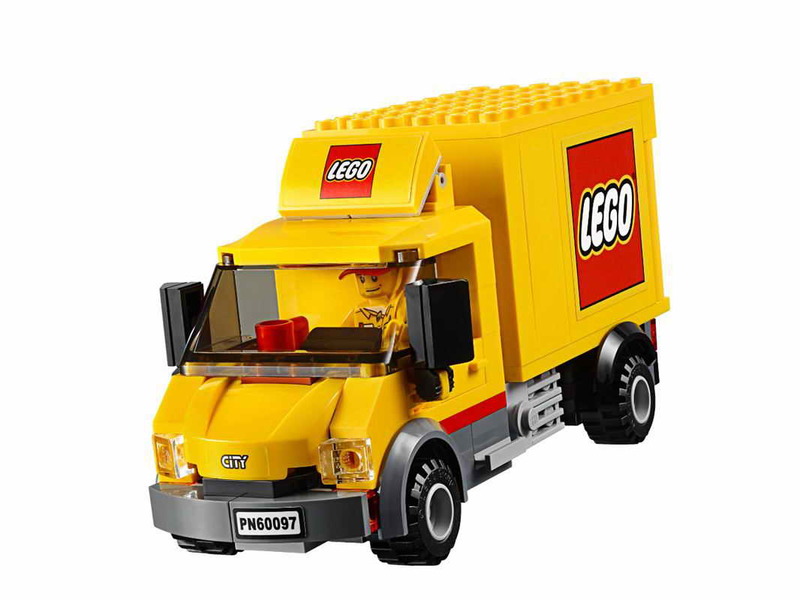 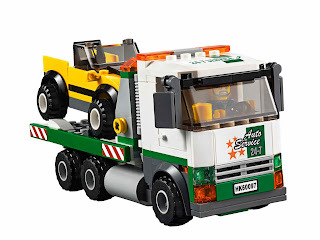 the LEGO delivery truck has openable doors and a LEGO logo. 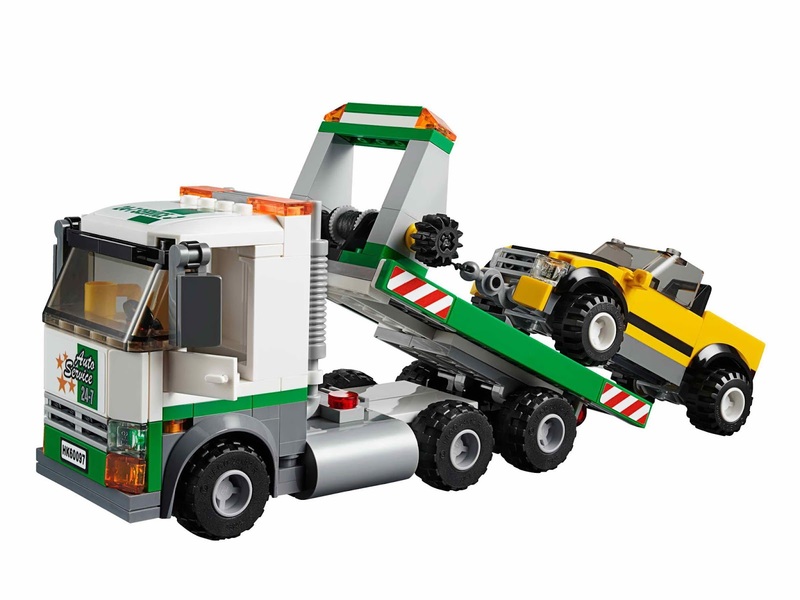 the tow truck has a tiltable flatbed and a workable winch with hook. 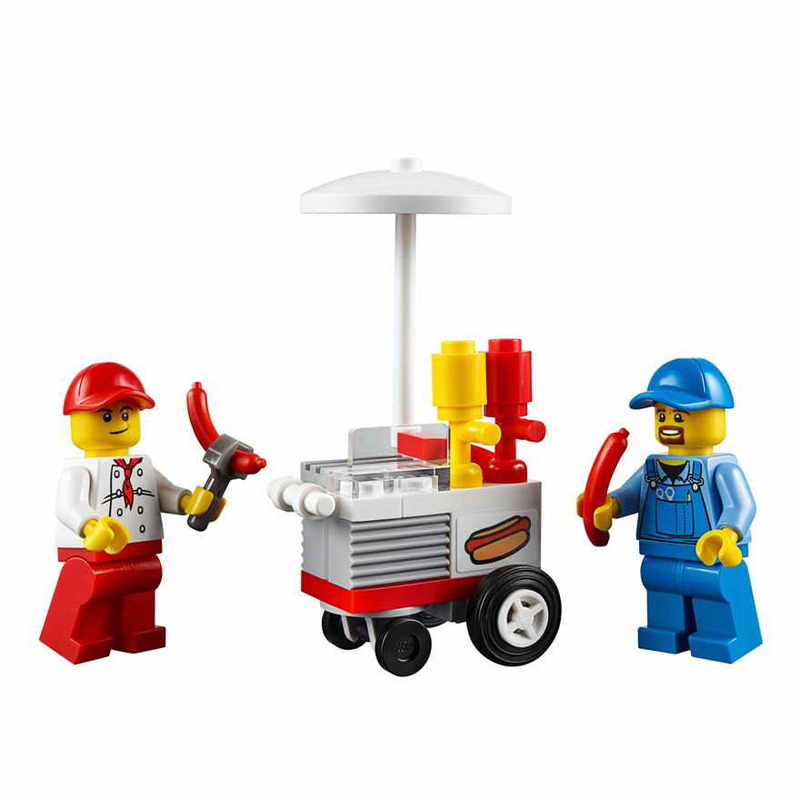 minifigs included a tram driver minifig, a helicopter pilot minifig, a coffee bar saleswoman minifig, a pizza deliveryman minifig, a car saleswoman minifig, a mechanic minifig, a tow truck driver minifig, a hotdog salesman minifig, 2 LEGO sales personnel minifigs, a girl minifig, and a boy minifig.